If you’ve experienced any of these, or if you’d simply like to know more about the water you use every day, consider getting a complimentary in-home water hardness and drinking water test from RainSoft. Getting a water test from your authorized RainSoft dealer in the Denver area is an easy process. First, a knowledgeable representative visits your home during a convenient, prearranged time. The representative then takes a water sample from your faucet, tests it right in your kitchen, and explains the results to you. All of our representatives are equipped to answer any of your questions and to offer suggestions to eliminate any contaminants identified by our water test. 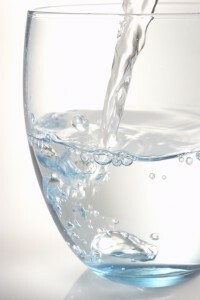 Aside from our experienced staff, you can rest assured knowing that we offer a Limited Lifetime Warranty, and that all of our products, which range from drinking water systems to home water conditioners that remove hardness in water, have been Tested and Certified by the Water Quality Association. If you’d like to learn more about our products or get a complimentary water test in your Denver, CO area home, contact RainSoft today.